We sat on the edge of the Earth with our feet dangling over the side, and marveled that we had found each other. 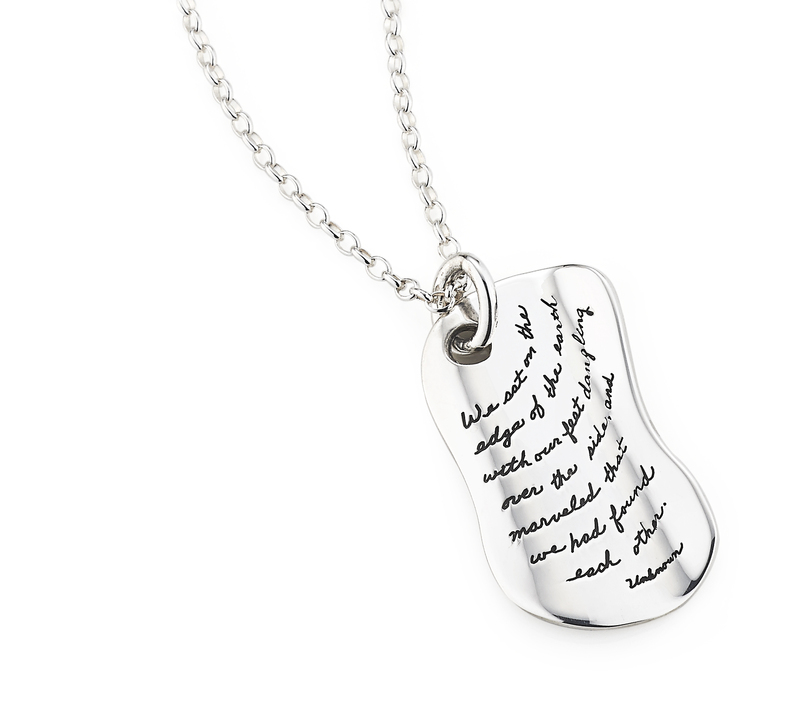 This sterling silver page looks like you pulled it from a love story, and not just any love story, your very own exquisite romance. The enchanted tale brims with passion and intrigue. BB designed it especially for his wife and it's one of her favorite messages. It’s a lovely gift for the one who makes you feel like you’re on top of the world, like every star sparkles just for the two of you. Show her how much she means to you with this shining hand-polished sterling silver pendant engraved with romantic handwriting.